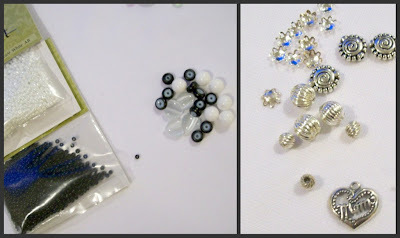 Amybeads: Bead Soup Blog Party TODAY! It's finally here!! 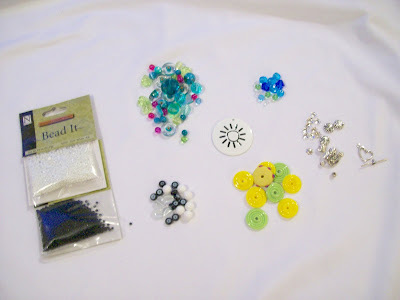 The Bead Soup Blog Party...brought to you by the talented Lori Anderson. My partner for this swap was none other than the Lanyard Lady hailing from a few states down from me in North Carolina. She sent me this super colorful assortment of beads. 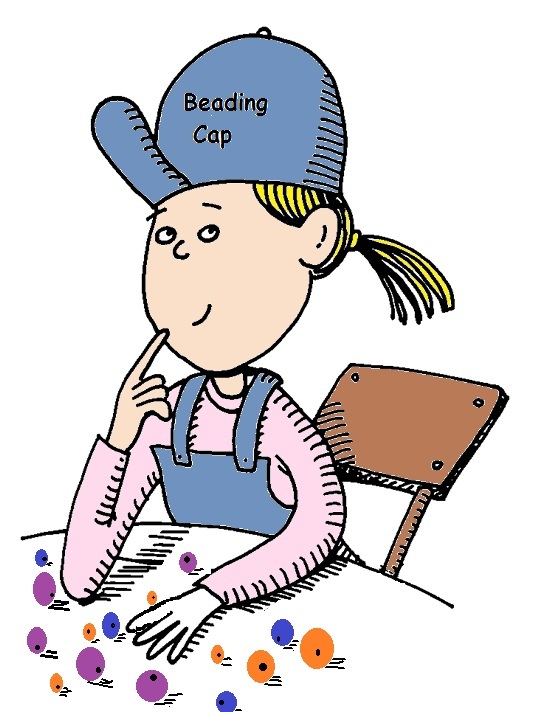 So I put my thinking cap on for several days. I loved pairing the mom charm with the sun focal, because I feel like they are both givers of life! Again, I can't begin to express how scrumptious these colors are! What a wonderful inspiration the Blog Soup Bead Party has been. I have listed below all the participants. Please check them all out! I know I will! Wow! They are all so creative and beautiful! Congratulations on working such magic. It was delightful having you as a partner. Amy what a great job!!!! I think all of them must be fun to wear for sure!!! Way to go! All three pieces came out lovely! Very nice job. All three pieces were lovely, but that last piece, the bracelet, is gorgeous! I would wear that ALL summer! Great job! Fabulous creations! I love the Spring feelings you inspired with your last 2 pieces! Great stuff, I adore that bracelet. Your Bead Soup pieces look like so much fun! I hope you enjoy wearing them! Wow! Such great pieces. Of course Mom and Sun should be together - both centers of the universe :-) I love the bracelet - so fun and cheerful! Great job! Love the colors and perfect pieces for the summer! Are you sure you didn't farm these out to three different people...just kidding these pieces just show your depth and range...one Soup-er talented lady!!! Nice work with the soup! Love your creations! I LOVE this first necklace - that focal is so gorgeous, just wonderful. 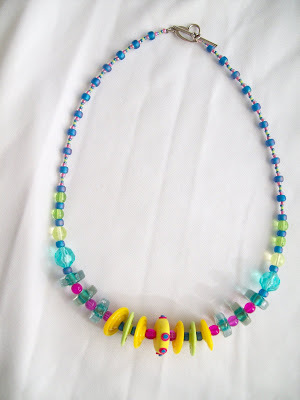 And I need to admit I was a bit scared about how you would put all the other beads together, but when I saw the result I thought wow, I want to wear this. So vibrant and colorful. I love it. 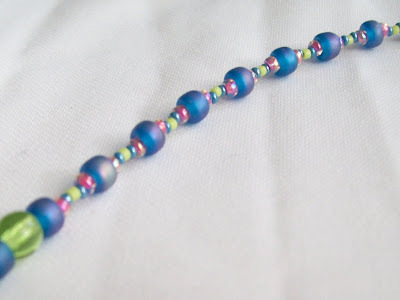 wow you had an amazingly colorful, and playful batch of bead soup to work with! and you did a fantastic job! I loved all three pieces! I love the bracelet! Such fun colors and texture. Cheers! Wow, what beautiful things you have made, the black and white necklace is lovely but the necklace beneath just sings with colour and the bracelet is like sunshine on water, I love them all. The colorful bracelet and necklace are so different from the first design. I like that! 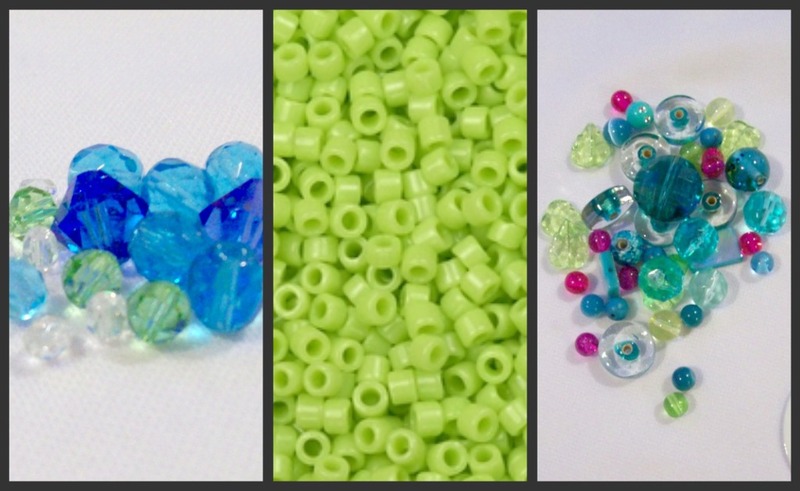 Isn't it awesome how that can happen with the same pile of beads?! Great Soup! I LOVE bright colors! The 2nd necklace is a favorite, and that bracelet is awesome! I really love your work! Very yummy! Hi Amy, all of your soup ingredients turned into several very tastey dishes,i'm a little partial to black so i would say thats my fav but they are all wonderful!! Wow I can honestly say you took everything and made so many WONDERFUL things!! Just so lovely everything! Your Soup is a real Tasty Soup Success! WOW, WOW, WOW! I love them all, but really really love that bracelet! What a wonderful meal! I tend to gravitate to black (though I am trying to wean myself away) so I love that necklace. One of the things I'm loving about this is how people create with things outside of their comfort zones! What you did with the yellow is totally awesome and surely yellow can now be one of your colors! How can it not be? You did a great job with all three pieces! Congratulations! Everything is pretty but my absolute favorite is the last bracelet. That focal/closure is AWESOME. Love what you did with those bright colors- I think I am allergic to yellow too but you made it work so nicely by spacing it out with those blues. Lovely pieces. I like all of them but was just wowed by what you did with the yellow. Maybe if I take some antihistamine I can try to use more yellow in my work. Those bright colros really are scrumptious! I shy away from yellow, too, but when I break it out I always end up staying monochromatic. You are brave!! 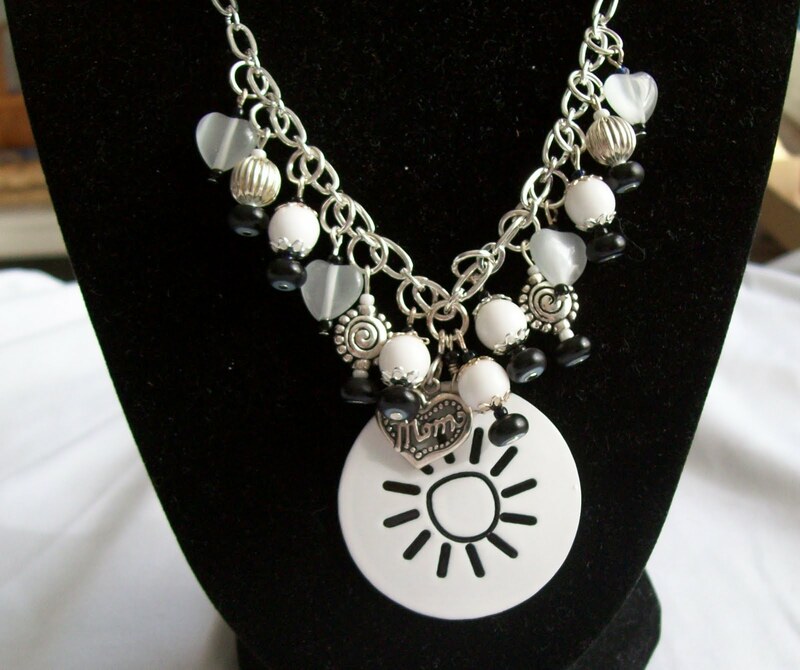 Love the necklace with the sun pendant! The yellow would have been a challenge for me as well, you did it, looks great! yellow is such a crazy hard color to work with (I got yellow and black for my soup). I like how you broke everything up. 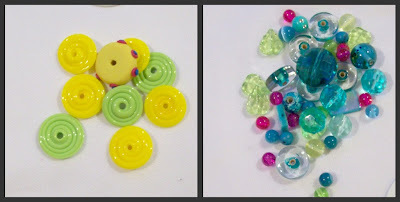 I like all your pieces but the way you used the disc in the last piece is great! OMG, I absolutely love that bracelet. If I could figure out how you did it, I would try one. Very, Very cute. You are my 209th blog to visit, yup my last one and I have to say your colors brightened up this dreary Michigan day. I love your designs. Great job! Love the vibrant colors and what you did with them. Your necklace is stunning, and I like what you did with the yellow beads. A fun necklace. I feel the same way about yellow, but you conquered it masterfully! Great job! Looks like you had a lot of fun putting those together. Especially love the black, white and silver together. I really, really liked the first necklace! I really, really liked the second necklace! I really, really liked the bracelet! All three pieces are unique, scumpdilly-icious and feminine! Congratulations on having Cherin as your partner! Love the way you separated the colors to make different designs. Love all your designs but really liked how the colors blended together on the bracelet. Beautiful jewelry. I thought when I saw the silver piece "JUNK in the TRUNK" don't ask Y but I did! lol I love the necklace it's Fab. The other designs are fun and festive! So many beautiful pieces! All of them just perfect for summer! Great job! Really lovely pieces! 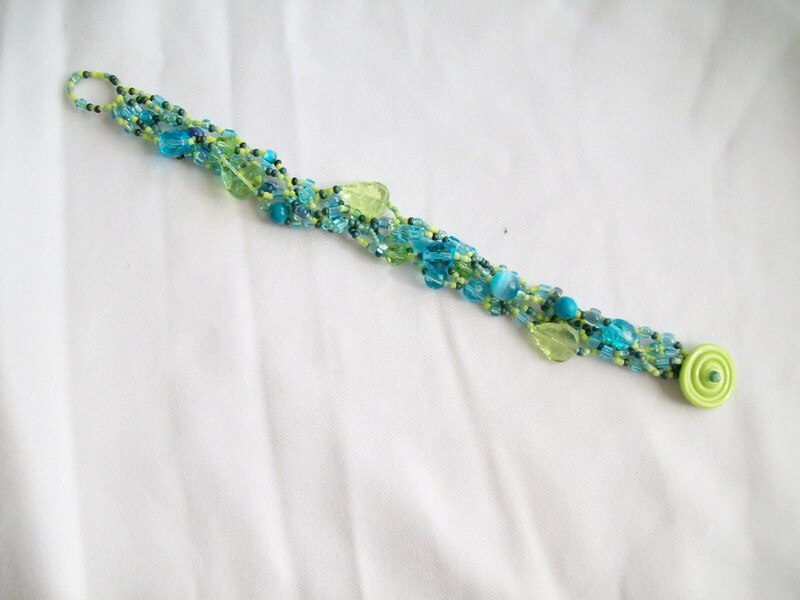 I love the last bracelet with that bright green button, great job! Girl, you are going to have to take back the statement about yellow! You totally showcased it to perfection. I love all three pieces, for different reasons. My fave has to be the bracelet. Awesome job! It looks like you had a lot of fun!! Love all the pieces! Great eye in putting them together! What a gorgeous selection of pieces you have made. I really loved the first necklace with all the little bits and pieces but then when I saw the bright necklace I loved that too... and then the bracelet. Well done... I adore them all! while all three of your pieces are delightful, the vibrancy of your second and the palette of the third speak to me loud and clear. They're beautiful. I'm so glad you broke out of your comfort zone!! Love the combination of black and white. So refreshing. 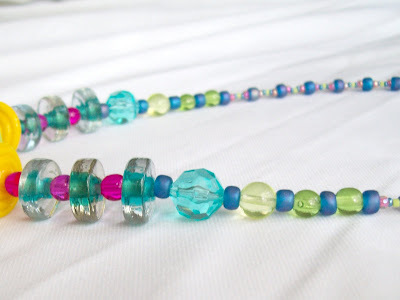 And those colorful beads, especially the second necklace are like a fruit salad at a picnic! You can't stop at one helping! So fun! Thanks for sharing. Oh Amy! What wonderful soup you received! I love all three pieces, but I think the second necklace is my fave - the way the yellow pops out amongst the more mellow greens and blues is yummy! What great pieces, love your tribute to 'Mom- the life giver', the colorful spring necklace and the happy spring bracelet. The bracelet is my favorite... beautiful work! Awesome job with your bead soup goodies! I really love the bracelet and the green disk as a toggle clasp! What beautiful summery pieces! I bet they are lots of fun and comfortable to wear. Lovely! Very nice jewellery! 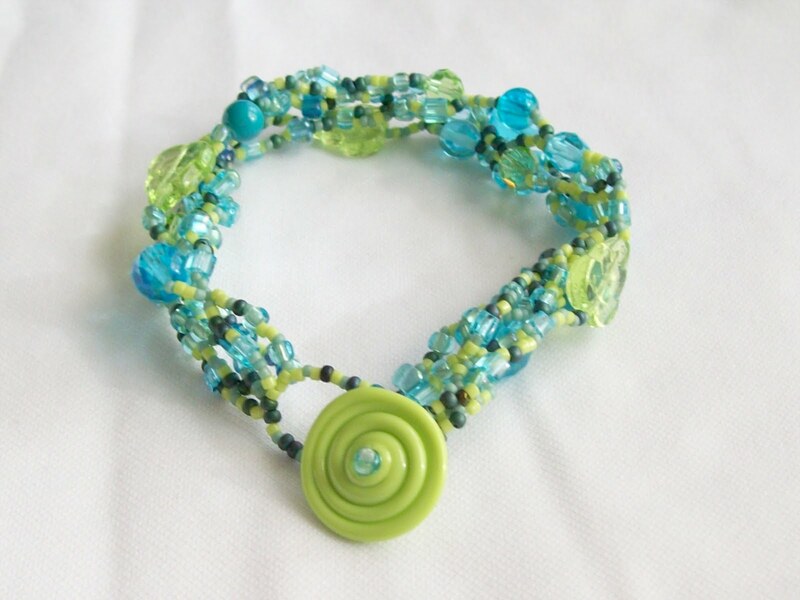 I like the classical colours and dangles in the first necklace as well as the fun and playful design in the second, but I especially fell for the bracelet: very nice design and fresh spring colours. Love what lanyardlady sent you and love what you did with it. All 3 pieces are funky and cool. I am in love with the bracelet, totally my colors. 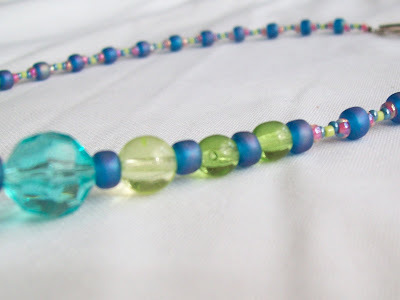 Great Bead Soup. Love the colors...that was my biggest fear...not being able to work the colors all together....you did a great job. Just gorgeous! I LOVE the bracelet - I would totally wear it all the time....has a lovely texture and the clasp is awesome.